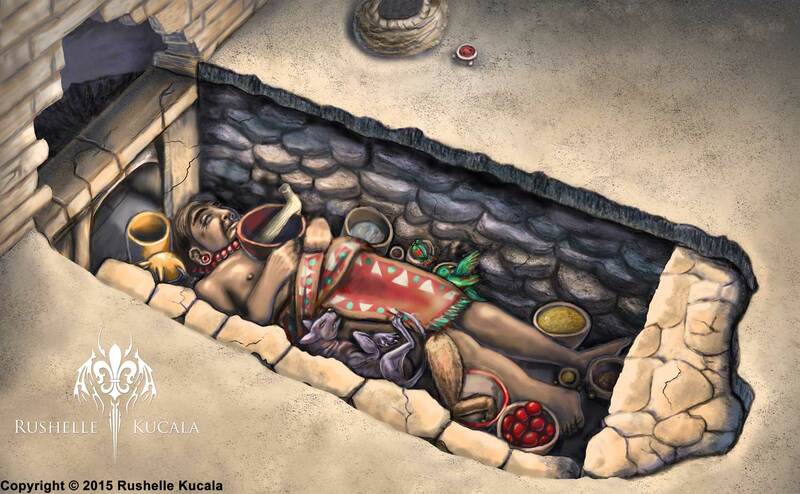 For our final in Intro to Science Illustration we were given photos and research of a real Zapotec archeological site and we were told to do further research and recreate the tomb as accurately as possible. This was fun, but a huge challenge! I spent hours studying the culture, studying the photos, the tomb, artifacts discovered, and so on! I'm pleased with the final results and so was my instructor.